Merry Christmas! 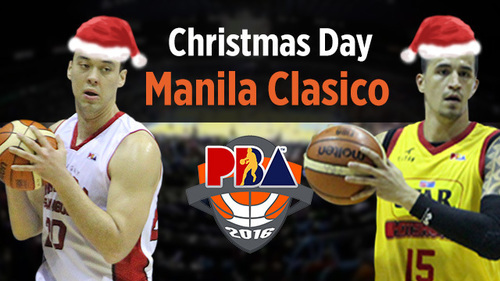 Welcome to our #ManilaClasico Christmas day live blog! 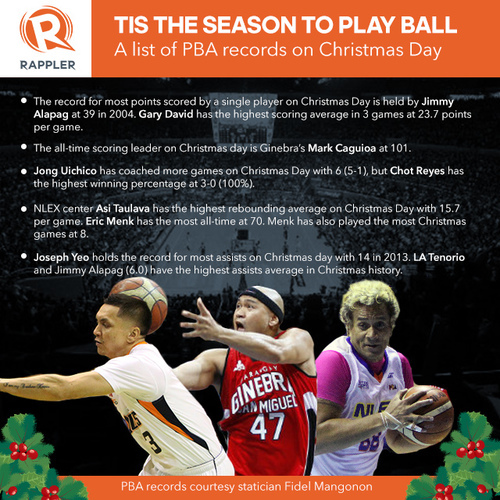 RapplerWho has scored the most points on Christmas Day in PBA history? Or averages the most assists? Find out here. Will Ginebra advance to the next round or will Star Hotshots force a do-or-die game? 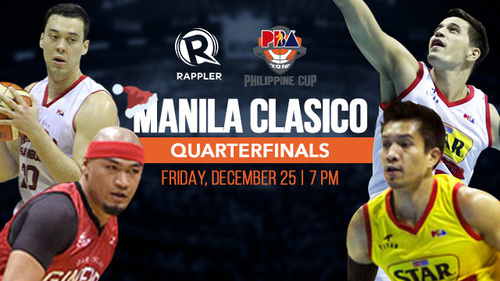 The winner of this Ginebra-Star QF showdown will face Globalport in the next round. 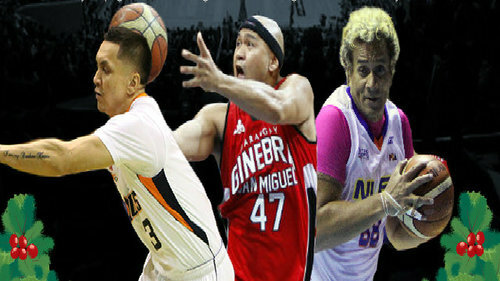 Jumpball won by Ginebra. First quarter already underway! Who are you rooting for? Yap 2/2 FTs, Hotshots ahead, 5-0, 10:25 in the opening quarter. 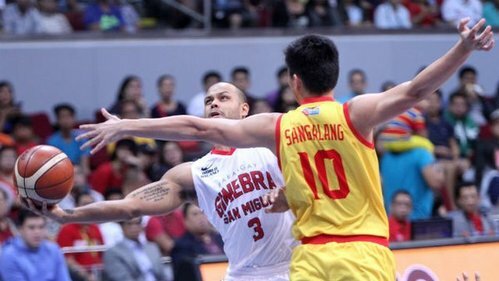 Caguioa scores the first basket for Ginebra, Simon answers back! 7-2 for Star. Another basket for PJ Simon! 9-2 lead for the Hotshots, 8:10 in the first quarter. Wanna know why Greg is so much better? Barely keeps the ball low anymore when scanning the D. Always keeping it up. Hotshots lead down to one, 9-8. 6:22 left in the first quarter. Timeout! 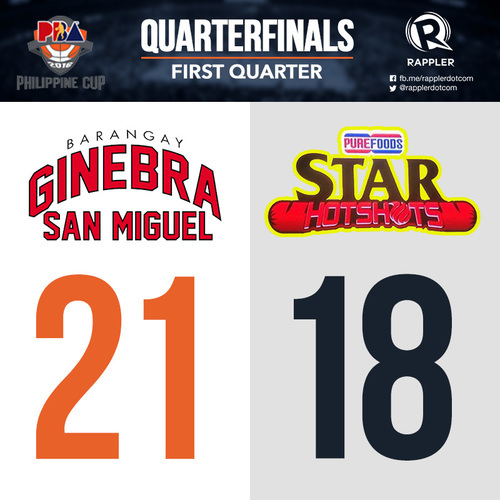 5:49 left in the opening quarter, Star Hotshots leading over Ginebra, 11-8. 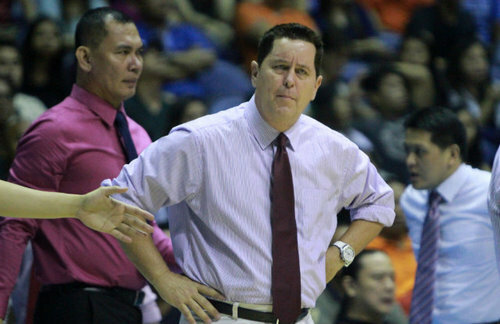 Slaughter and Caguioa bring Hotshots lead down to 3, 15-12, 2:54 remaining in 1Q. Slaughter ties the game, 18-all. And the legend of Scottie continues to grow. If I'm Star, I build my offense around Barroca/Melton/Simon/Yap running the PNR with Sangalang, then 3 shooters surrounding. Reavis ties the game, 26-all! 7:20 remaining in the first half. 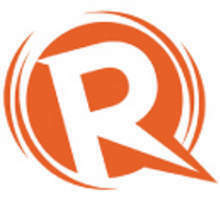 Greg Slaughter with a slam! 34-33 Ginebra, 1:44 2Q. Maliksi scores! 35-34 Hotshots ahead. 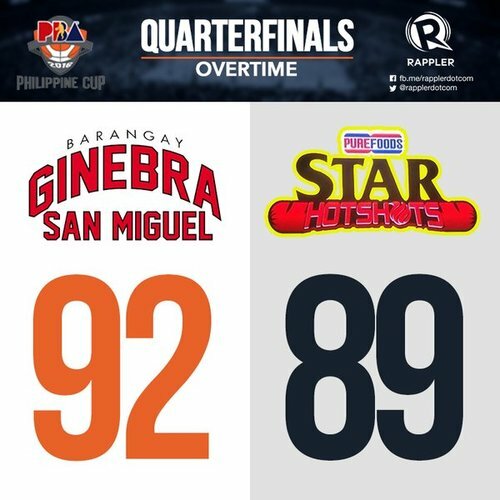 Star has the right idea of running after every rebound w/ Slaughter in there, but JDV at the 4 is like Ginebra playing small w/ Greg.